USA Bestseller OR International AND USA Bestseller rating and do it all for you for a super saver investment! a million followers and social media connections! Your book will be promoted to over a million of our global followers! You will be provided comprehensive reports including proof of Bestseller screen shots taken during launch as your book's rankings rise! You will receive business-building bonuses valued up to $1000 FREE!!! You will write an article which will be published in an online magazine will thousands of readers. Divya Parekh is an in-demand motivational speaker, a leading business relationship and leadership coach, and an Amazon best-sellering author. Divya has guided many entrepreneurs, CEOs, and management personnel into realizing their goals and reaching their next level of accomplishment. She accomplishes this through her individual coaching sessions, leadership talks, and workshops. 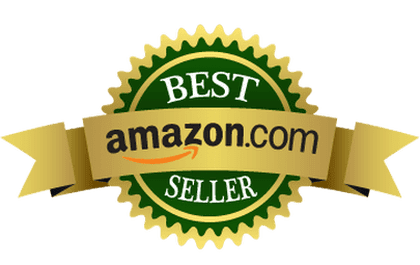 Divya’s best-selling books, including her newest, The Entrepreneur’s Garden – Nine Essential Relationships to Cultivate Your Wildly Successful Business, serve as the foundation for many leaders in business and other organizations. Her other books include Stress Management, Mindfulness Mastery, Critical Thinking, Candid Critique, Appreciative Inquiry, Leadership and Influence, and Emotional Intelligence. She also co-authored the international best-selling book, The Voyage to Your Vision. First and foremost, Divya Parekh values people, and it is her connection with clients and audiences that makes her so effective. She communicates well with everyone and brings her 25+ years of experience in academia and the entrepreneur world into her teaching. This wealth of knowledge combines with her formal training in mentoring and coaching to have individuals, companies, and organizations seeking her out for her knowledge and expertise. My mission is to give writers a voice that is heard and a best-selling platform on which to stand. We have taken over 500 authors to #1 International Bestseller Status. WILL YOU BE NEXT? THE RESPONSIBILITY OF PROMOTING YOUR BOOK IS YOURS! Success Fact: Writing your book is 5%, promoting your book is 95%. I DO IT FOR YOU! I am passionate about getting your story out to the world. I will launch your book to a guaranteed Bestseller rating and do it all for you. Our Authors finish their books, get published, get promoted and get known! Having trained more than 55,000 transformational authors around the world amd she's the ONLY person I'll refer my clients to. As publisher, best-selling author, speaker on stages of 10s to 1,000s, coach to Global Fortune 100 companies Solopreneurs, and 55,000 transformational authors around the world. I am dedicated to help you build your platform and publish your book to bestseller with the utmost of integrity and guarantee your success! Your Information is safe with us. We provide strictest confidentiality and privacy policies. We are here only to serve you. Don't Have a Book Out Yet?